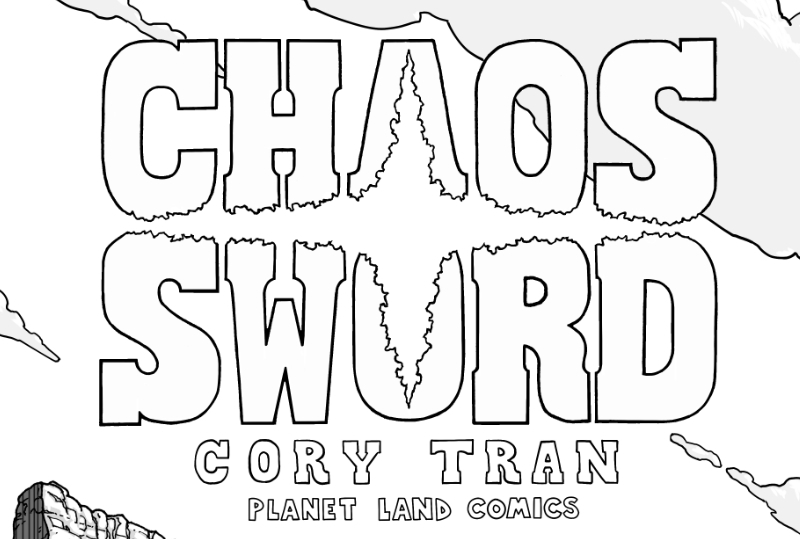 Cory Tran’s ongoing action/mystery/drama comic Chaos Sword is returning on October 19th, 2017. It’s an 11 page “Part 1”, which explains a little more about the world. We’ll be reveal the part-break cover (pinup/promo) and the Chapter 2 cover next week. If you’re completely new, you can Visit the Chaos Sword page. And, as a REMINDER: We just had two releases in the past two months! First, our local dodgeball and mech shonen action comic: Diamond Cutter Chapter 11 (21 pages from Eoin Magee)! Then our ultimate hyper racing epic: Road Bastards 2: Episode 4 (32 pages from Cory Tran)! If you haven’t read them: enjoy & share. All our comics are ad and registration free. ← RELEASE: Road Bastards 2: Episode 4 by Cory Tran (32 pages)!